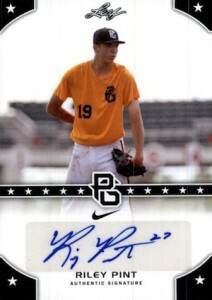 Prospecting to the extreme, 2015 Leaf Perfect Game National Showcase Baseball returns with a ton of autographs per box and and a much lower production run. Covering the Perfect Game National Showcase, the all-autograph release includes some of the best high school talent in the country. Although the subjects are not currently household names, the potential for greatness makes the product particularly intriguing to prospect collectors. 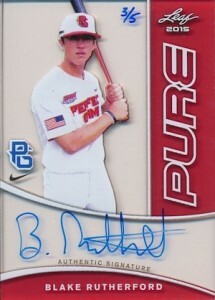 Similar to 2014, 2015 Leaf Perfect Game National Showcase Baseball includes a total of 25 autographs per box. Among these are two autograph relics and one Trinity Pure Autograph per box, on average. 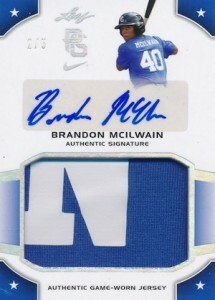 Like most Leaf products, a variety of limited parallels are also available. While the features largely match up to the product from last year, the 2015 edition ups the ante with a print run that is roughly half the amount. Dropping from 199 cases down to 99 cases, 2015 Leaf Perfect Game National Showcase Baseball is considerably more limited. Is Leaf taking care of these kids when they approach them with this product in mind, and getting their autograph? What I mean is, I sure hope they aren’t taking advantage of these kids, because, you know, they aren’t professional ball players, so they do not have the full force of a professional union behind them. And a large corporation using young kids’ names for a profit, without giving back to the kid or their families is sick. It’s kind of the reason why I think college football and baseball players NEED to get paid. Particularly if the NCAA is selling the rights to EA and other sports games producers to use names of the players. Corporations and their greedy CEO head honchos taking advantage of young people: YUCK! Virtually everyone else profiting off the entertainment and hard work provided by amateur athletes, except for the athletes themselves. Just, totally not cool. I do assume these high school players are being paid for this by Leaf. Otherwise, the price is quite high for such a long shot of a risk.